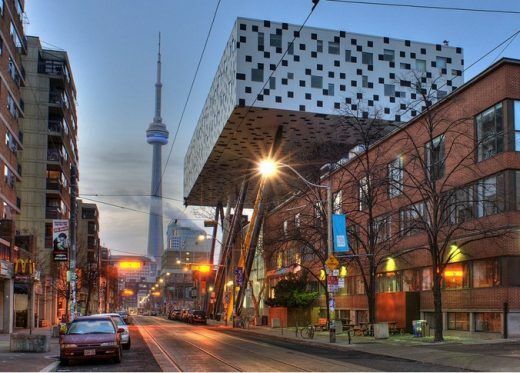 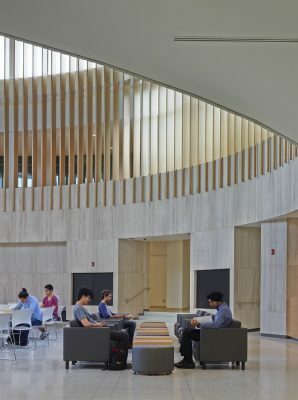 The University of Toronto Mississauga (UTM), the second-largest campus of the University of Toronto, is set on a park-like campus on the valley of the Credit River, surrounded by a mature forest, approximately 33 kilometers west of Downtown Toronto. 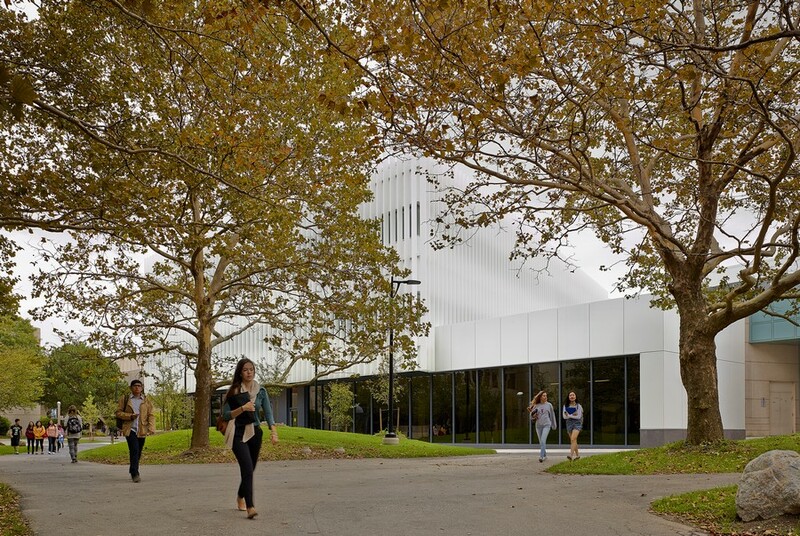 Since establishing its first building in 1966, the campus has been comprised of bold architectural statements that have intensified in recent decades as the university responds to increased enrollment with an influx of buildings. 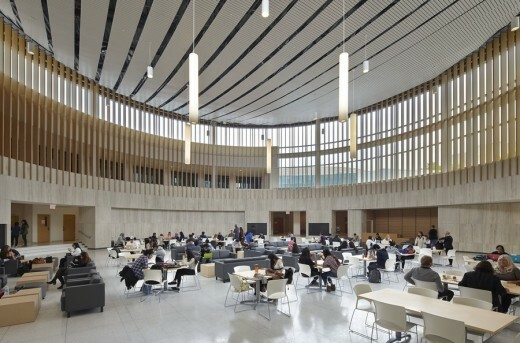 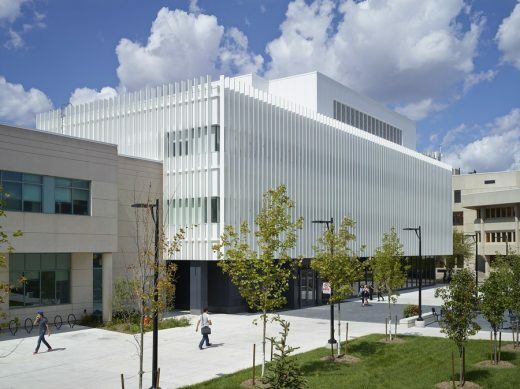 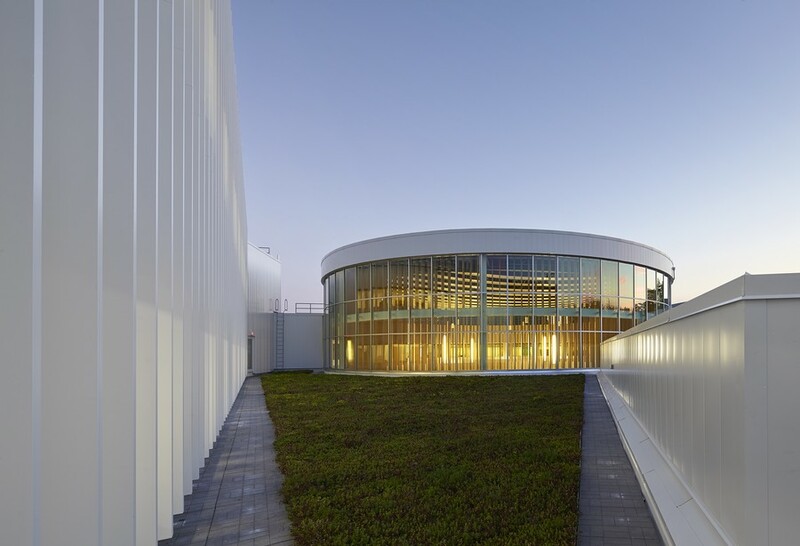 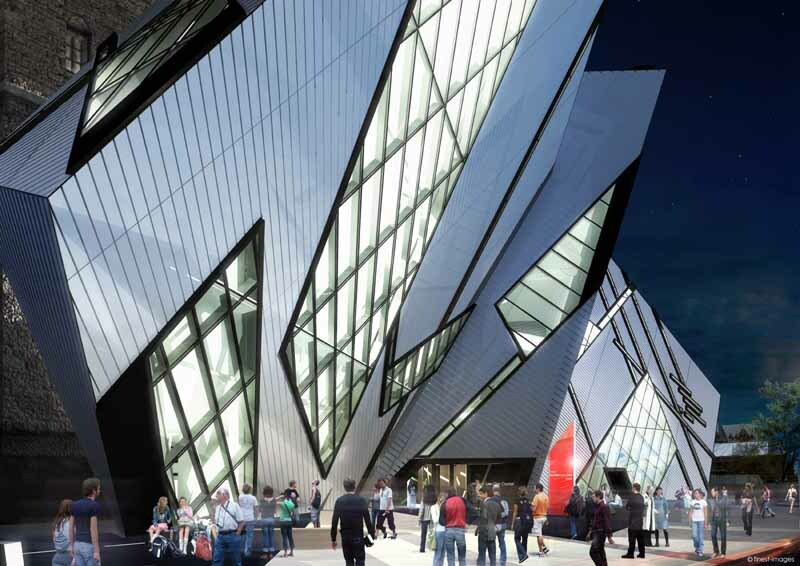 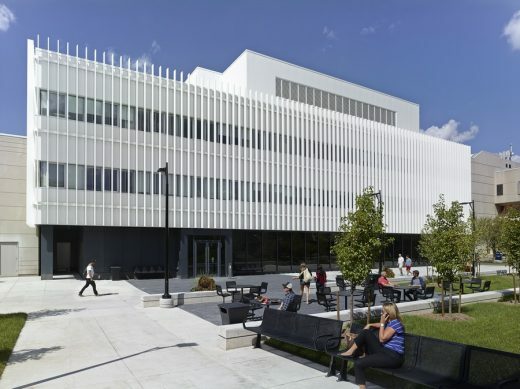 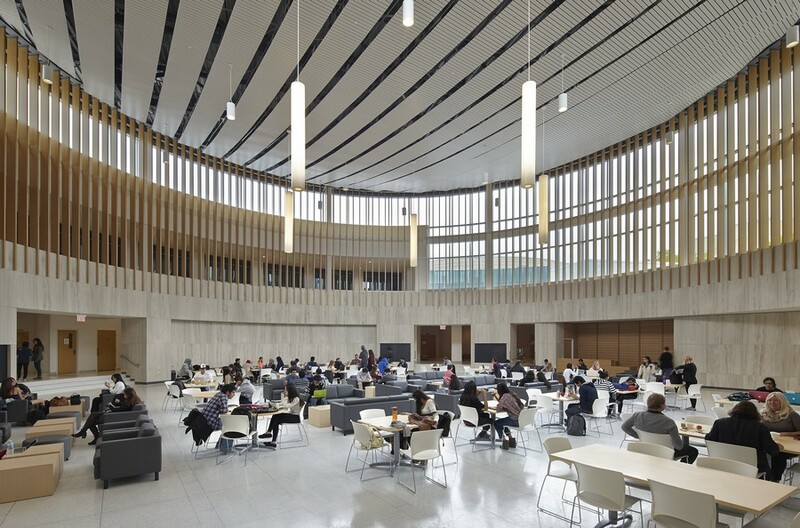 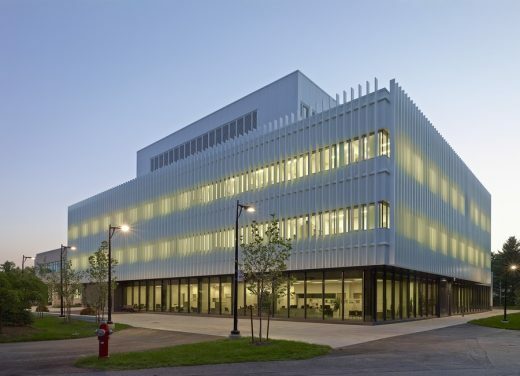 The newest campus addition is the University of Toronto Mississauga Innovation Centre, a renovation and expansion of the Kaneff Centre by PCL Constructors with Moriyama & Teshima Architects. The design and construction team holistically responded to this varied context by enclosing the circular courtyard of the 1992 Postmodern building, showing respect for the distinctive quality of the original design, while transforming the courtyard into an interior rotunda, and balancing the plan with a rectangular parti. The three-story Innovation Centre establishes offices for the Faculties of Economics and Management, the Offices of the Registrar, as well as Active-Learning classrooms and an inviting student commons for daily social and intellectual engagement that is easily adapted for performances, lectures and career fairs. 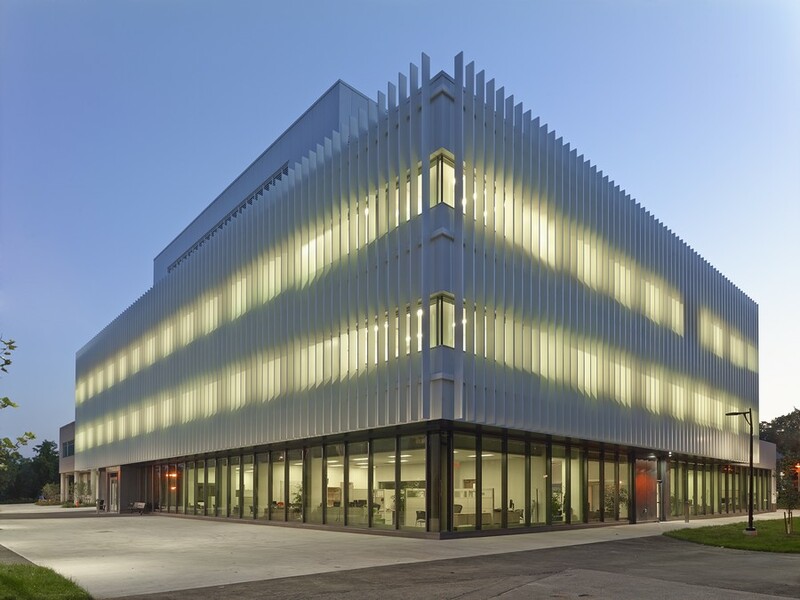 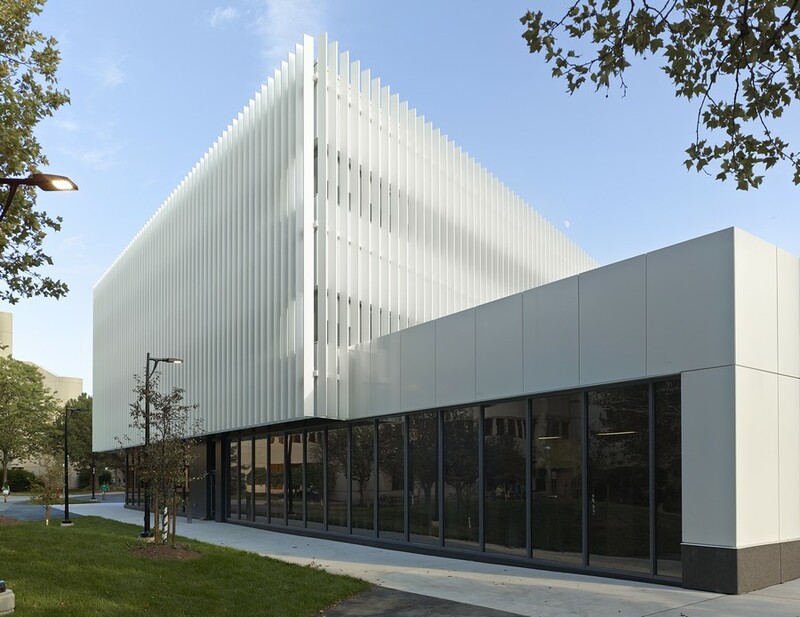 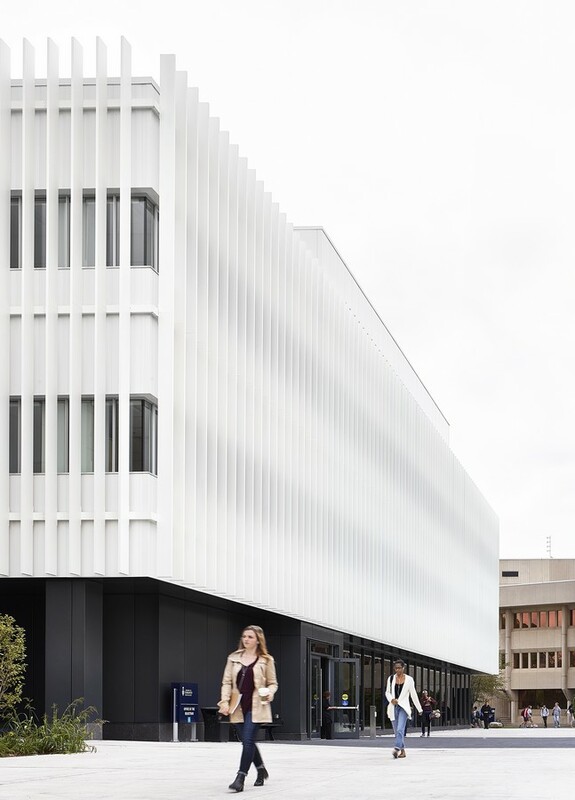 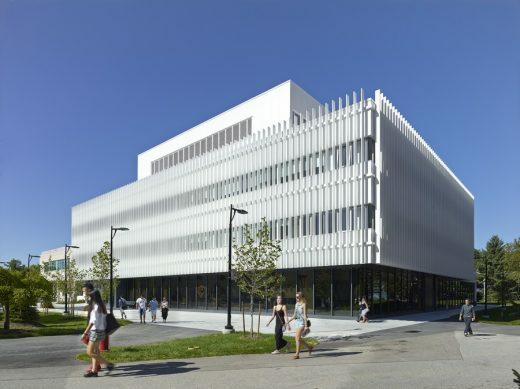 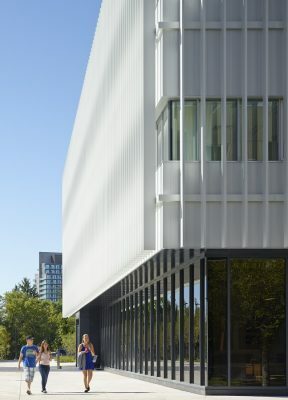 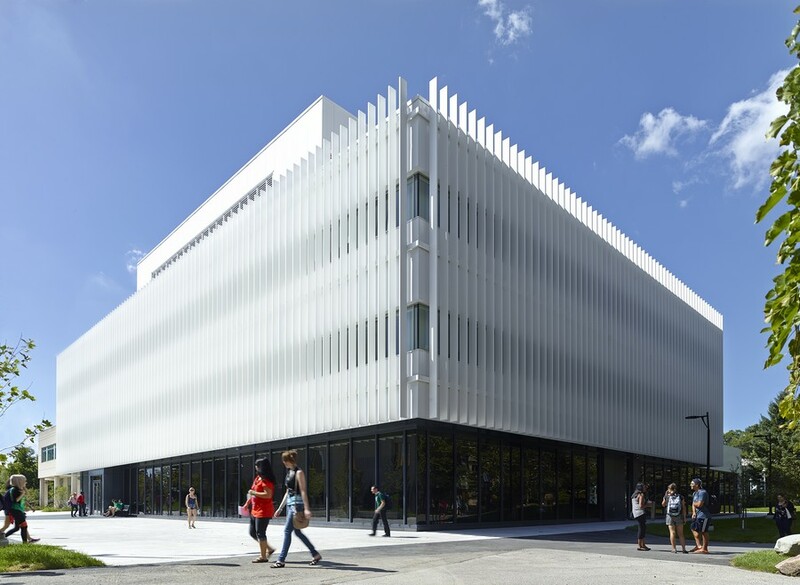 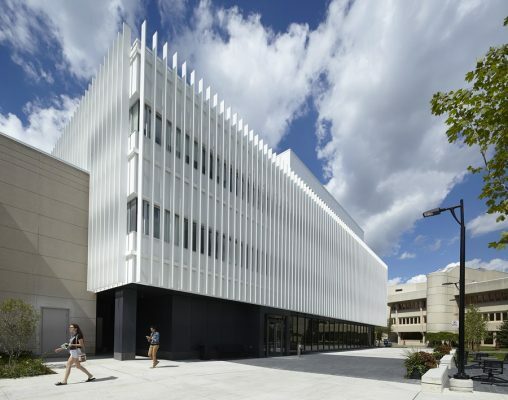 The white, powder-coated, vertical aluminum fins that wrap the building give a kinetic quality to the facade, which changes as one moves past the building. 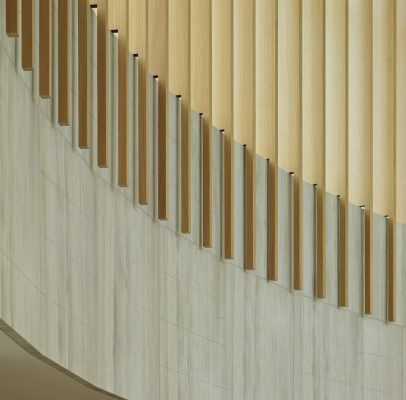 This results in an ephemeral and quietly eloquent presence that is dynamic, yet still at ease amongst its Brutalist neighbours. The architects went beyond the project brief by formalizing well-trodden pathways and offering an overhang to shelter students as they traverse in inclement weather. Inside, the Innovation Centre’s elegance and lightness continues. 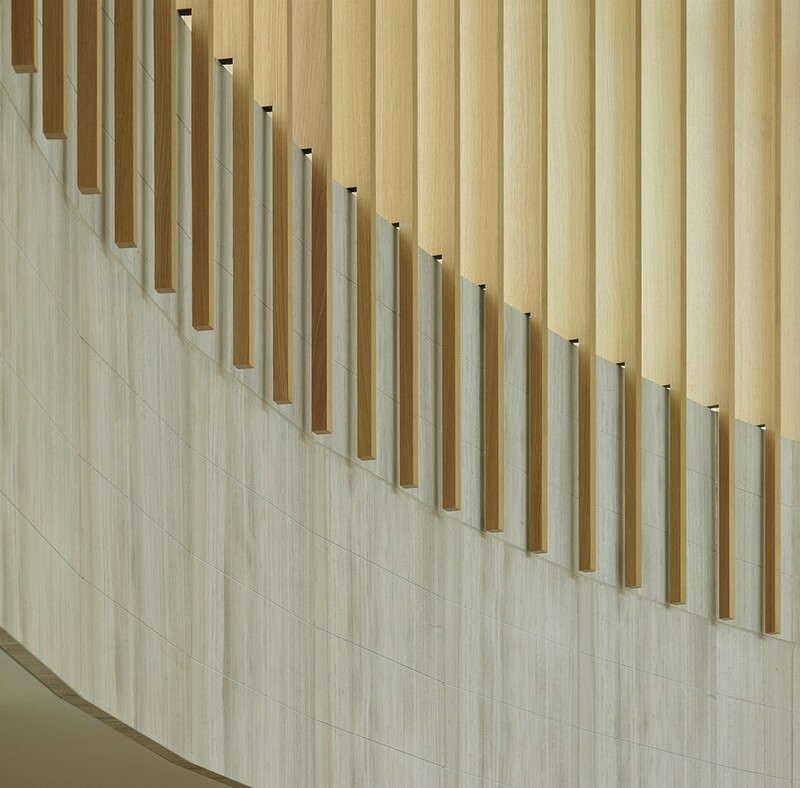 At the heart of the building, a soaring inner rotunda is lined with oak fins, creating a dialogue between the interior and exterior – while also abstractly drawing the calmness of the nearby forest into the space. 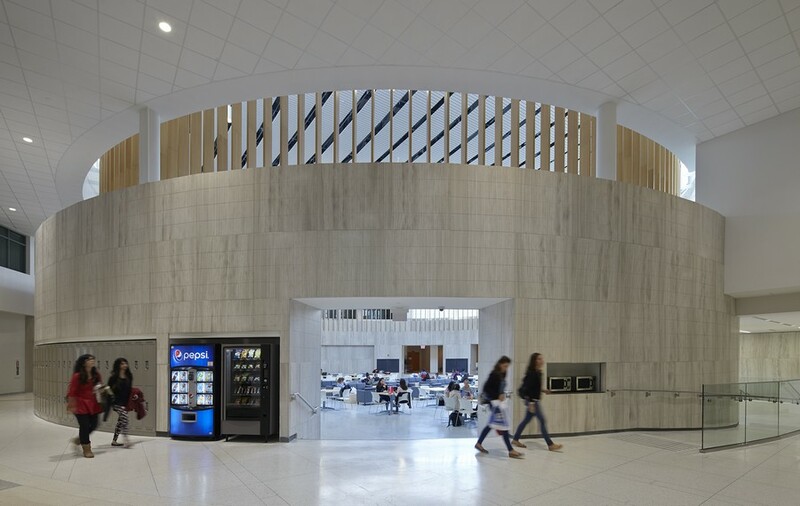 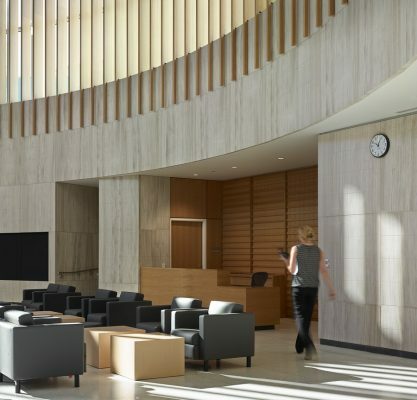 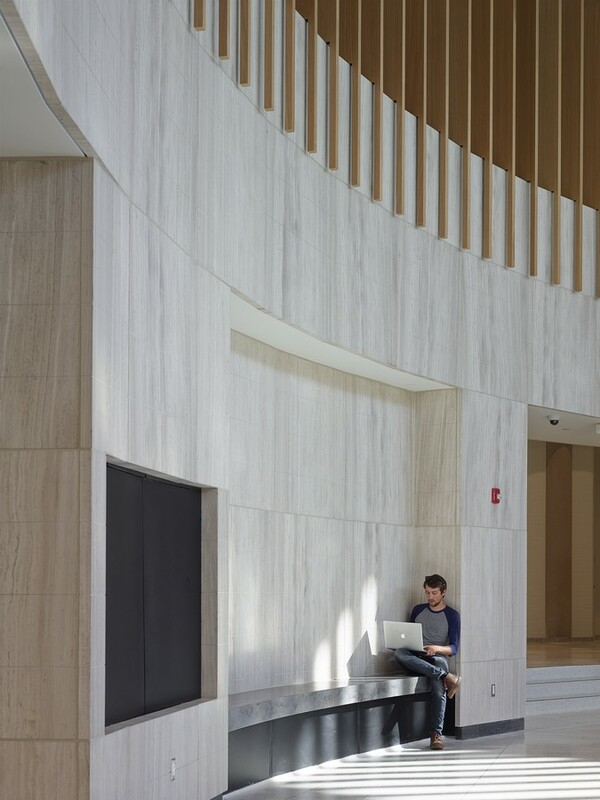 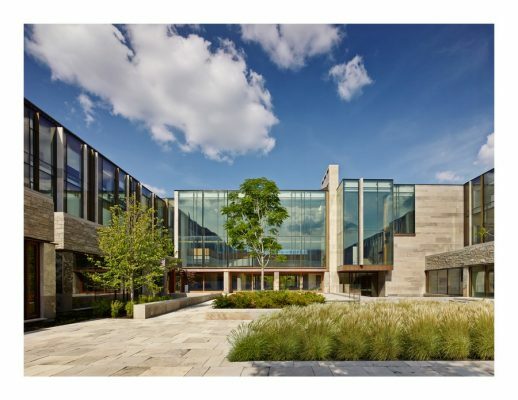 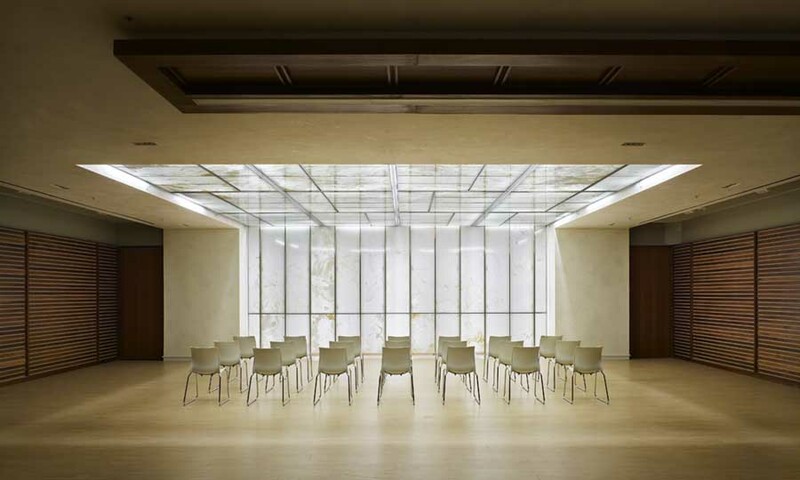 The powerfully rich and minimal material palette of Italian travertine demonstrates the University of Toronto’s commitment to strengthening the educational experience with inspirational architecture that increases the pleasure and wellbeing of its students, faculty, staff, and visitors. 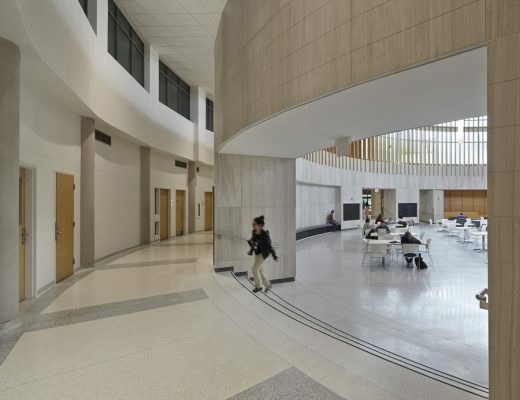 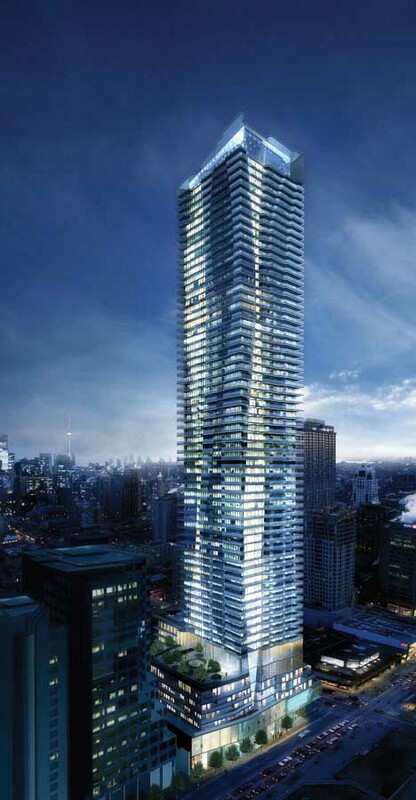 The LEED Silver-targeted project was completed in just 21 months, through a design-build procurement process with an aggressive schedule and budget. 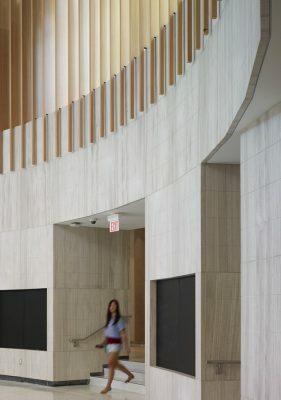 The integrated design and construction team had to plan ahead, workshop collectively and cooperate in ways that were unconventional to the normal design and construction process. 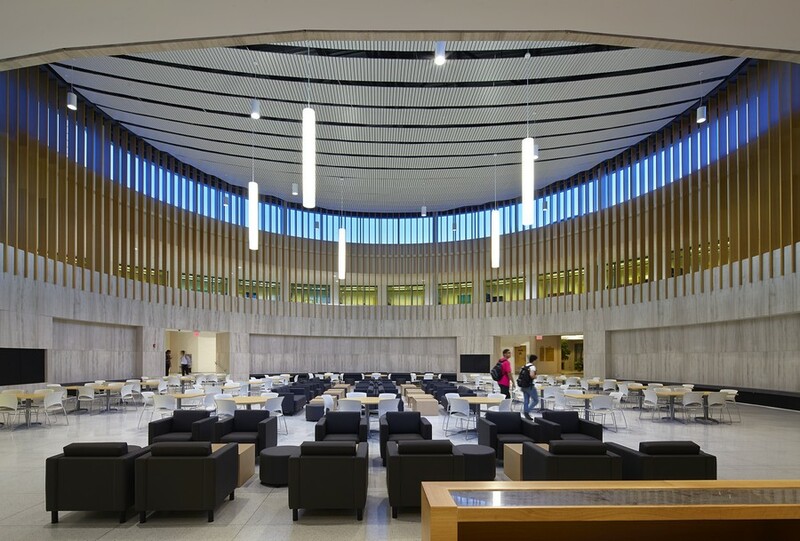 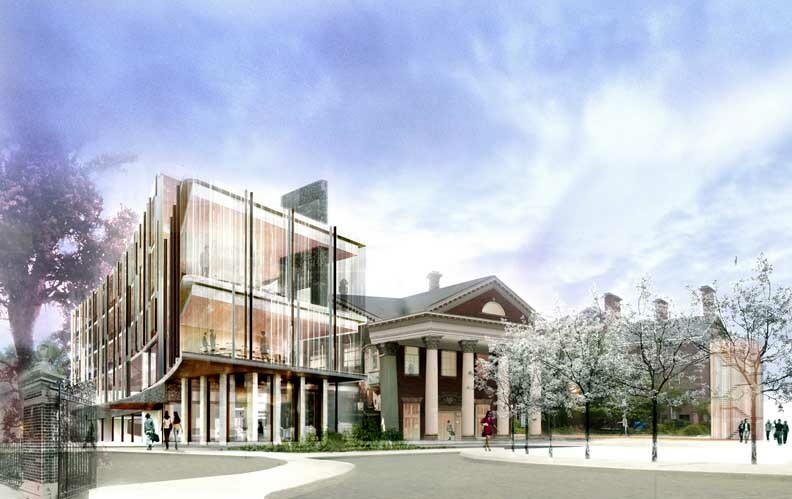 However, this process ensured that everyone was focused on the common goal to create a dignified, high quality building where people could come together with purpose and serenity; and it also ensured that the Kaneff Centre could remain open during the entire construction process.